Two weeks agos, Gleb came home from our local grocery store with a bag full of cosmetics : shampoos, shower gels, body lotions… “I noticed that these products seemed naturals and contained coconut oil, so I thought you’d want to try them out”, he said. My boyfriend is well aware of my passion for oil-based products, and I was thrilled to discover what he brought home. I started with a quick research about the brand Inecto : this is a british brand that offers cosmetics made with 90% of natural ingredients. They also happen to be vegan friendly and not tested on animals. A great start ! But the best is yet to come : this range costs between 2 and 4€ in Malta ! Regarding the ingredients, these products aren’t organic or perfect, but as I mentioned above, 90% of the ingredients are of natural origins. I have found no trace of parabens or silicons. The oils (coco or agan) used in the composition are organic and 100% naturals. For the price, I think this is amazing ! Now that I’ve had the time to try out the brand Inecto, you can discover my review on these products. The lack of parabens and silicons in these two shampoos is a good point. The smell of this shampoo, as well as all of the other products of the range, is amazing. Even if this product sucked, I think that I would still use it for its perfume. Fortunately, it isn’t so : this shampoo doesn’t foam a lot – that’s the problem when you’re using mostly natural haircare – but it cleans my hair perfectly and leaves it soft and shiny… and deliciously scented ! → Buy the argan oil shampoo. 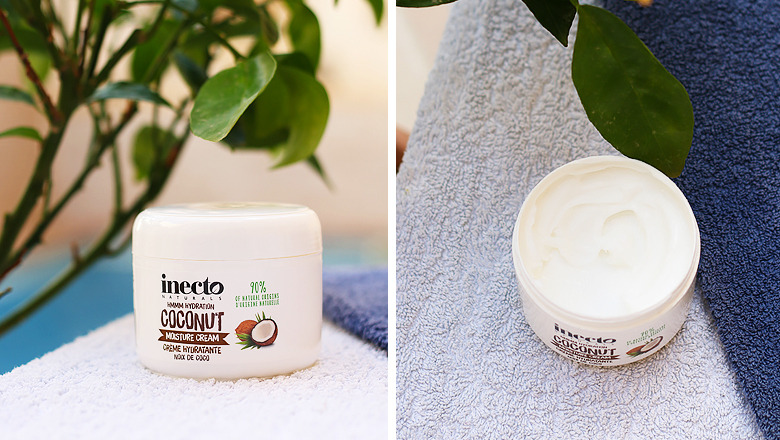 This product has a really nice coconut smell, perfect to extend the summer ! This is a very good shampoo, but I prefer the argan one, which makes my hair a bit shinier. → Buy the coconut oil shampoo. The only thing I don’t like about this product is its name. To me, this is more like a conditioner that you need to use after every shampoo. A hair mask should be richer and used only occasionally. → Buy the coconut hair mask (pack of 6). Unfortunately, I have mixed feelings about this product. The problem comes from the packaging : this is a tube with a screw cap (not very practical under the shower). This shower gel is very liquid and flows out of the tube when the cap is off. I’ve lost a lot of product because of that… A pump bottle would have been so much better ! However, this product is fine and is nice to use for shaving. Again, the smell is great ! → Buy the argan oil shower gel (pack of 6). Overall, a really nice scrub like I like them, with a lot of grains. As you may know, I usually make my own scrubs at home with salt or sugar, but I think that I’m still going to repurchase this one. It’s practical to have one on hand if you forget to prepare your homemade skincare ! However, be gentle if you have a sensitive skin, because this scrub is quite abrasive. → Buy the coconut oil body scrub. Now, I can say that this one is my favourite ! 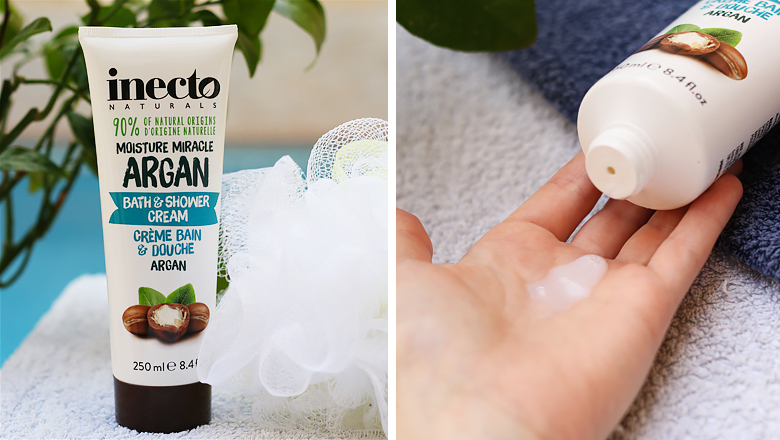 Among all the brand Inecto products that I’ve tried, I have a huge crush on this body lotion with argan oil. Do I really need to say it smells heavenly ? But the real power of this product is that it’s rapidly absorbed without leaving any greasy or oily film, despite a moisturised skin ! I used to hate putting on body lotion after my shower, but not anymore. → Buy the argan oil body lotion (pack of 6). My review is the same. This is just a matter of preference between the two oils and their scent, because these two body lotions have the exact same texture and efficiency. → Buy the coconut oil body lotion. I’m not really fond of this oil. It has a really nice monoï scent, but it leaves an oily and unpleasant film on my skin. I don’t like the fact that it contains alcohol, either. Despite its summery smell, you can’t wear it during the summer (alcohol, combined with sunlight, can leave dark spots on your skin, and that’s why you shouldn’t wear fragrance directly on your skin in the summer). → Buy the coconut body oil (pack of 6). The packaging doesn’t say if this cream should be used on the body or on the face. Given the large capacity of the pot, I think that it is a “does it all” cream, like Nivéa. Since I already found the perfect body lotion, I use this moisturizing cream on my face, at night. This is a rich product, but it penetrates the skin quite quickly and doesn’t leave any film, which I like. But I’m especially fond of its “whipped cream” texture, that almost makes me want to eat it ! → Buy the coconut oil moisturizing cream. I like this little hand cream that smells good and moisturizes well. 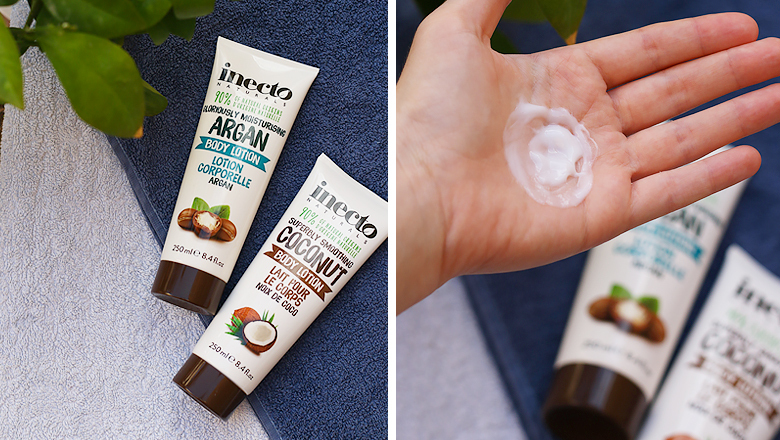 The products of the brand Inecto are definitely great : no greasy residues on my hands after application. This is an important point because I hate to leave oily traces on everything I touch. I’m not sure if this cream will be rich enough for the winter time, I will tell you that after my next trip to France ! → Buy the coconut oil hand cream. Score for my boyfriend : 15/10. Did you know the brand Inecto ? Which one of these products would you like to try ? Hi there. I have just recently become a ‘not tested on animals’ fiend and I’ve been using the shampoo and conditioner for about six weeks now and love it. As you say it leaves my hair soft, silky and clean. I’ve also used the bath and shower cream and is just gorgeous. A little fiddly with a screw top but OK. I just bought today the hand & nail and will let you know how I get on with it. All of these are the Argan range, not the coconut. I’m happy to read that, I’m actually being more cautious about the products I buy too, and I try to choose only cruelty free brands whenever I can. Inecto is amazing, right ? I’m using their body lotion everyday (well… ALMOST everyday, I get lazy sometimes 😉 ) and it’s the first time I found one I liked that much. Let me know what you think of the hand cream ! I live in Austria and I found this fascinating brand today in our drugstore. I bought the cococut conditioner and I will try it soon. I wanted to find out more about this vegan friendly and cruelty free brand (I mean that sounds perfect, right?) The price here is more on the cheap side and I am really excited to try it! I just bought the shampoo at Scott´s supermarket. I´ve paid around 5 euro´s for the shampoo I guess. Where do you buy these products in Malta? Maybe you want to take a look at my blog as well? I have a lot of nice recipes/interior ideas and fasion ideas! Hello! I just bought the moisturizing cream and as I am not sure about whether it’s safe to use on my face, I had to consult google. How has it been acting on your face? Is it good? Hi , What about the Hair oil ? Hello! I cannot understand your review. Unfortunately I baught the “hair serum” in my holidays. At home i checked the ingredience and I was simply shocked. The main ingrediences are Siloxane which are silicons and which are really really bad for your hair. The coconut oil is on the last point of the list what means there is just a very very small amount of the oil in the product. At least I would say it is a very bad product with cheap ingredience and completly overprized. Hi! I’m from Romania and I just bought the shampoo and conditioner and here it’s around 5-6 € each. I haven’t seen the other products yet but i hope they will be available soon. I was attracted to buy them because of the smell, because they are vegan an almost entirely from natural ingredients. I really think it’s a good brand. Haven’t tried it yet but usually my instincts don’t fail. Thanks for the review. I stopped using shampoo 8 months ago and a little bit of happy with this process. I am looking for a great shampoo with full of natural element and I am here to read your reviews for INECTO. I think I will use one more time as a test of your reviews. Hopefully it will work. 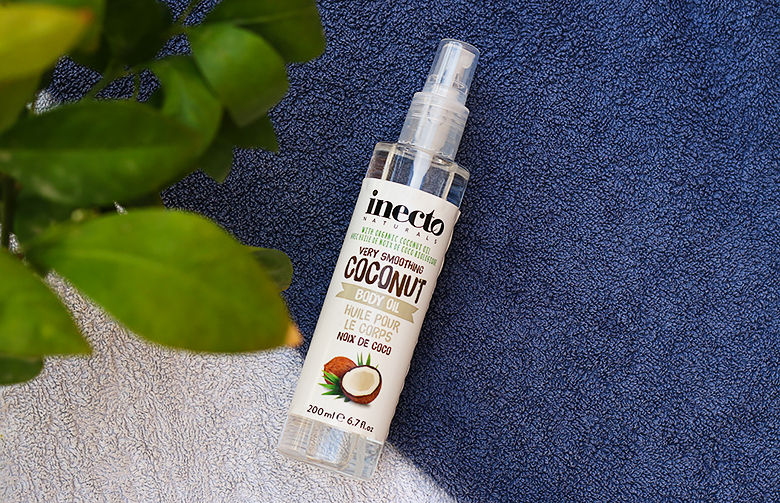 Inecto Pure Coconut Intensely Hydrating Hair Repair Treatment: This Inecto Brand is working so amazing for my hair. It’s smells lovely and feel soft my hair all the time. My hair extensions doesn’t feel greasy and sticky anymore. This is really beautiful and helpful information. Your post is very informative. I don’t use shampoo for my hair. I enjoy your article. This is very helpful article for the people. Thank you for share a great article. Hi Charlotte! I really enjoyed this review. I just bought their moisture cream and I really like how itimakes the skin feel. I also think that the ingredients are really good, besides one -BHT. I just read about it and it should be safe to use on skin in small concentrations, but in this product, it is among the first ingredients. I hope very much that the post for this will still get put up. 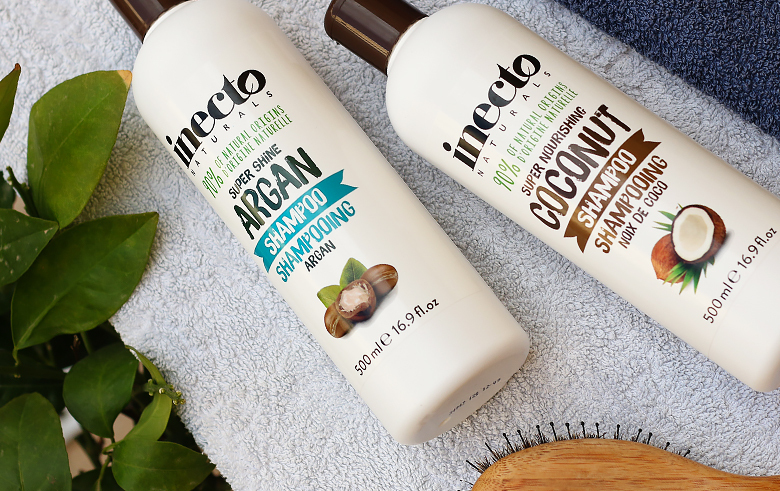 I have researched the inecto coconut hair oil & what I found is very shocking ! Six out of the eight ingredients are man-made . All of them are advised against by people that do not endorse a natural products . One of them is advised against by an official health body . And One of them has hardly any studies conducted on the health and safety . After researching this thoroughly I believe the company is misleading – with the statement 90% natural ingredients. How can man-made plastic – made silicon be natural? Also-i feel they use the fact that one ingredient – the coconut – oil is organic – to green washed you – making you believe it is a safe product . I personally feel it’s not a safe product I will not use it on my children no more . Thank sc product is definitely not natural – please research it yourself decide for yourself I will now boycott this company in every way I can – I feel that deliberately deceiving the customers . Wow here is my favorite cosmetics list. I have been using Inecto products for last 3 years. Inecto body lotion, shower cream, milk nourishing cream, message cream are my regular uses product. Thanks for sharing these great reviews.